WB Ray Class of 1964: Just for Fun! Tear gas, pot and patchouli were the scents of the 1960s. You can almost detect the last two, spicy and pungent, wafting through “Summer of Love: Art of the Psychedelic Era” at the Whitney Museum of American Art. Do you get sometimes too many requests for advice from family, friends, co-workers? Do your kids and grands ignore your loving suggestions?? Then here is a fun alternative place to send them: http://www.ElderWisdomCircle.org -- Advice from those our age and older who are caring and well-qualified to respond. Right now they mostly need youthful askers, but at some point hope to need more "elders" which could be us;o) I cannot think of a more gifted group to add to their ranks than the WB Ray Class of 1964!! If you have any questions after visiting the site, the Founder/Director, Doug Meckelson, may be reached at: elderwisdomcircle@yahoo.com. Many former classmates from W.B. 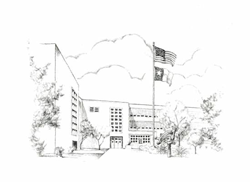 Ray High School have now added their life stories or created personal pages. This service is not just for recording life stories, but can be used to create family pages to share with friends and family. To add your story or to read others, go to your alumni group page for W.B. 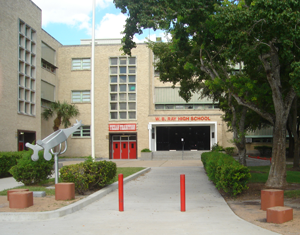 Ray High School at http://www.mychallenge.com/wbrayhs.html. From a dear friend of Dee Dee's, Jane has sent us this 'trip down memory lane' link: http://mywebpages.comcast.net/singingman777/LastSummer.htm complete with the Four Lads signing their hit, The Things We Did Last Summer! Thanks, Jane!! Candy sent recently a fun piece entitled, Born 1930-1979. If you want a copy, please let Candyor me know. Vickie Richardson Nice sent a fun Who Are They? that has old pics of celebrities with a date the photo was taken; you try to guess, and get the answer in 'invisible print' below the star! Perhaps the most fun piece came from Jeff Pope about recalling your first kiss!!! And the most moving clip was from Mary Lou Montes Zijderveld the Budweiser Commercial/Tribute to 9/11. To help facilitate more of a dialogue, where such treasures can be posted, please check out and sign up for our (FREE) WB Ray Discussion Group on Yahoo: http://groups.yahoo.com/group/WBRay1964/ This is a new site that was requested for a freer interchange of ideas. It works best if there are Facilitators to originate/keep dialogues going....as for planning the next reunion! Volunteers?? Thanks!